Take a close look and you will see it. The emergence of the Regenerative Economy is happening all around us. Once you understand its principles and patterns you will see it coming to life in rural areas and in cities, in small, medium, and large enterprises around the globe, and in the networked relationships among them. We invite you to join us as we weave the narrative of the Regenerative Economy. Let's illuminate where our economy—from global to local—is already operating to support enterprises and practices that empower individuals, and that regenerate human communities and the natural systems upon which all life depends. Hugh Kent strives to strike a balance between making a living and regenerating the land from which he earns that living. 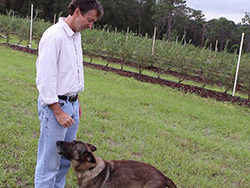 He is converting a farm that had been in his family for generations from conventional citrus to organic blueberry cultivation. The Bendigo Community Bank Model—part franchise, part cooperative—has helped recirculate capital into local economies and empowered communities to reshape their futures through a unique grant-making structure. 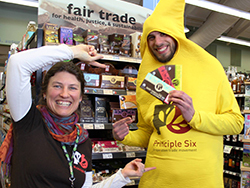 The Principle 6 Cooperative Trade Movement is a growing network of retail and producer food cooperatives that is exploring creative ways to support a just and healthy food system and to encourage conversations around it. 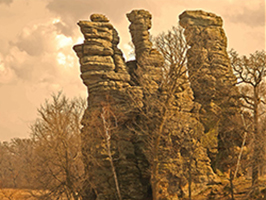 A P6 Trade Movement member, this coop works to connect owners and consumers with the value of small, local, and cooperatively produced food. In the summer of 2012 and 2013 a group of college students and recent grads bicycled across America to visit cooperatives, to hone their own cooperative skills, and to reimagine the country they were about to inherit. Grupo Ecologico’s Mario David Pedraza works with the farmers and ranchers of Mexico’s Sierra Gorda to reconnect with the culture of their native soil, regenerate their land and enrich their lives through the practice of permaculture and holistic management. When seasoned banker Ken LaRoe set out to found a bank that would match his values he didn’t know how those values would deepen and expand as he embarked on a "regenerative finance" journey. A UK "community interest company" grows mushrooms on a small scale by capturing waste streams from breweries and cafes in Totnes. A cooperative, affordable-housing community land trust incubates entrepreneurialism and land stewardship on an island of breath-taking natural beauty off the coast of Washington State. A custom grazing business follows the holistic management practices of Allan Savory and generates real wealth over the long term while restoring grasslands and improving their carbon sequestration properties on a vast scale. Guided by a deep intention to discover the essence of the people, resources, and place of the Bronx, BCDI enables members of a New York City community, judged one of the poorest by financial wealth standards, to co-create their regeneration. A remarkable experiment in cooperative-ownership and anchor-institution-based “green” job creation in Cleveland’s inner city unleashes the energy of workers to become actors in history in their own lifetimes.